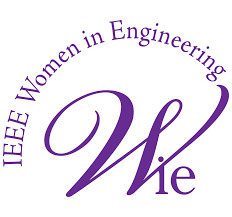 The conference will be held at PES Institute of Technology – Bangalore South Campus (PESIT- BSC), Karnataka, India. 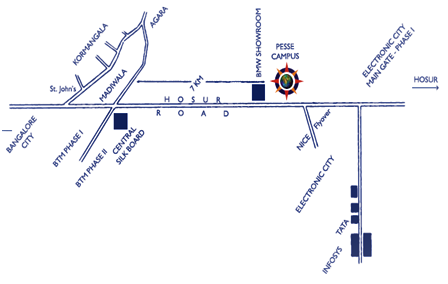 PES was established in 1972 at Bengaluru, the Silicon Valley of India. PES is focused on four main educational areas: Engineering, Medicine, Management and Life Sciences. The institutions offer both foundation courses in these areas, as well as specialization with a Bachelors/ Master/ Ph.D Degree programs. Combine years of experience in education with a unique curriculum world-class infrastructure, with a committed responsive faculty, unwavering commitment to the quality of education, today PES has more than 18,000 students, spread across four different campuses, In the Year 2015, PES University was established by an Act (No 16 of 2013) of state legislature of Karnataka as a private university. PESIT-BSC, the most recent addition to the PES family of educational institutions received AICTE approval in 2005. PESIT-BSC, affiliated to the Visveswaraya Technological University, Belagavi, Karnataka, offers four year undergraduate engineering degree programs in Computer Science, Electronics, Information Science, Mechanical Engineering as well as postgraduate programs: MBA and MCA. Its vision has been to make its students professionally superior and ethically strong global manpower. Every activity at PES is focused in addressing student needs. It offers and facilitates academic excellence, leadership qualities, nurturing environment, and cutting edge infrastructure – everything students need to succeed. A unique educational system at PES will ensure that students gain not just depth and breath in their chosen area of specialization, but a holistic set of skills that will equip them to face the real world. Opportunities abound for them to expand the boundaries of their performance and accomplishment. The thriving and vibrant campus life accommodates diverse and enthusiastic student community. A team of dedicated and experienced faculty with research bent of mind has been driving the institution towards excellence in R&D activities. The results have been consistently excellent, consistently obtaining university ranks. PESIT - BSC alumni have occupied high positions in premier organizations in India and abroad. PESIT - BSC is about always trying to push the bar a little more, constantly innovating and never standing still. If one has the drive and determination, PESIT - BSC will help realize one’s dream. Bangalore is well connected by road, rail and air. Flying in: The nearest airport is Kempegowda International Airport which is one and half hours drive by road. The airport consists of a single runway and passenger terminal, which handles both domestic and international operations. There are daily domestic flights most parts of the India. The airport serves as a hub for AirAsia India, Alliance Air, Jet Airways, IndiGo, Air India and a focus city for SpiceJet. There are direct international flights to Bangalore from Kuala Lumpur, Bhubaneswar, Sharjah, Paris, Singapore, London, Hong-Kong, Dubai, Frankfurt, Muscat, Bangkok etc... Prepaid taxis are available at the Bangalore airport. By Road: PESIT South Campus is well connected with the major cities in road lanes. Direct buses are also available from BMTC Bus Terminal. PESIT has a fleet of buses which operate from various parts of the city.